Owned and operated by Jed and Jenny Ecord. We each have an extensive background in road racing in all distances from 1 mile up to 50 miles as well as competing in multiple triathlons at varying distances. 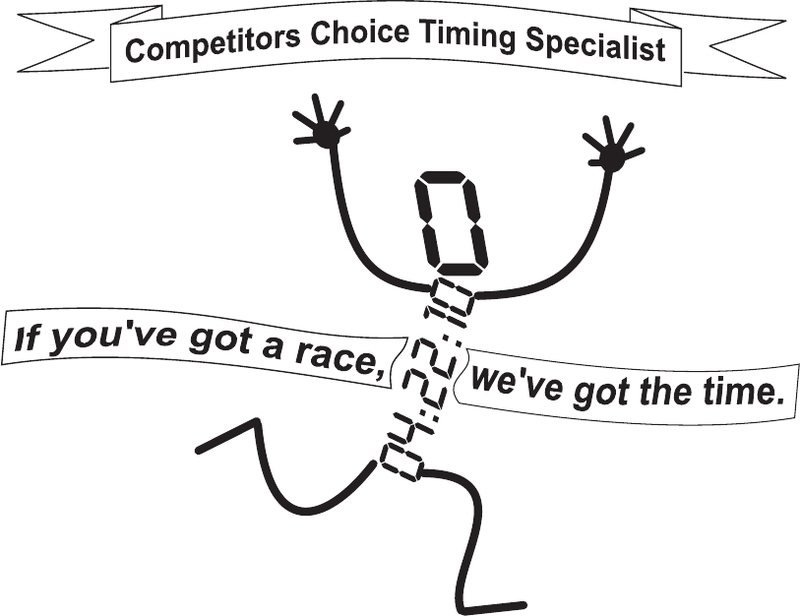 Our racing background will help you prepare for your next event giving you valuable athlete's insight. We have multiple systems. Each system has it's own lightweight tower structure capable of holding sponsor banners. Four high frequency RFID anntenaes are attached to tower structure and then to the reader. This typical race setup means you will have no mats or wires at your start or finish line. Some races may require a different type of setup. G-Chips are high frequency sealed disposable chips. These chips can be placed on the back of a bib, on a bike plate, on a helment, or on just about anything else that moves. These chips can be read up to 45 feet away, delivers twice as many reads of a typical disposable chip. T-Chips are high frequency reusable chips. These chips will be used mainly in triathlons and open water swimming where there is prolonged contact with water. The T-Chip is worn around the ankle or wrist using a comfortable neoprene band. These chips are can be read up to 10 feet away and can get up to 500 reads per second. There a number of other chips available depending on your event. Feel free to email us for further info.